Great communicators are viewed as successful individuals by coworkers and others. They become go-to people in an organization because people equate efficacy with effective communication. Great communicators contribute more to their organizations and receive more opportunities for promotion and recognition in their careers. There are other attributes, but ten simple communication skills are shared by nearly all effective communicators. When a great communicator approaches a co-worker, he takes the time to say, “good morning” and “how’s your day going?” The effect of the relationship-building forays is incalculable. The speaker demonstrates that, no matter how busy or overextended they are, they have time to care about others. Build the relationship first for successful communication. For even more successful communication, continue to build the relationship in all interactions in any setting over time as goodwill has a cumulative effect. Great communicators obtain the knowledge, insight, and forward-thinking ability necessary to earn the respect of their colleagues and acquaintances. Coworkers will not listen if they do not believe that the communicator is bringing expertise to the table, but will spend time with them if they respect their knowledge and the value that the communicator brings to the conversation. When you think about secrets of great communicators, subject matter expertise may head the list. Think of Bill Gates, Stephen Hawking, Angela Merkel, etc. Imagine if a manager held a performance development planning meeting with an employee and talked 55 minutes of the hour. This is an egregious example of a manager dominating a discussion, but it serves as a reminder that people are unable to listen if they are talking. Understanding others—and what they need—is a crucial skill for communicators. When they do speak, they are frequently asking questions to draw out the knowledge and opinions of their coworkers. When you allow yourself to listen, you often hear what is not being said. Excellent communicators use this information in order to read between the spoken lines to understand the whole context of the other person and their thoughts and needs. When someone else is speaking, great communicators do not spend the time preparing their responses. Instead, they ask questions for clarification and to make certain that they thoroughly understand what the other person is communicating, focusing their mind on listening and understanding. Saying, "Here is what I heard you say" and repeating the gist of the content of the message that they received from the other person’s communication uses a feedback loop to check their understanding and to make sure they are experiencing shared meaning. When they check their understanding, communicators avoid miscommunication and misunderstanding, circumventing hard feelings and protracted explanations about what their subject meant. Nonverbal communication is a powerful voice in any interaction. The voice tonality, body language, and facial expressions speak more loudly than verbal communication or the actual words in many communication exchanges. Communicators know the amount of information that they lose when they communicate via email, phone, IM, or texting. The youngest generation at work may not recognize the importance of talking with coworkers in person. If you want information that is richer and deeper, and for discussion and exchange, solid communicators seek out their co-workers. In any communication, the opportunity for misunderstanding is ever present. Communicators watch for patterns (is this how their co-worker typically reacts) and inconsistencies (is this consistent with what they expect from this person). If any of these verbal and nonverbal communication factors are inconsistent or sending different messages, communication failure is imminent. Coworkers tend to listen to the nonverbal communication over the verbal. Good communicators take responsibility for owning their own emotional reactions. They use "I" messages ​to demonstrate that they know that they are responsible for the reaction. For example: "You really messed up that customer interaction" is much less effective and honest than, "I was upset watching you interact with that customer for these reasons…"
You-ing a co-worker is rarely effective communication. Communicators will most likely receive a defensive response which makes the communication fail. Delivering an honest "I" message instead is powerful. If communicators feel they are going to say anything critical or controversial, they try and wait 24 hours before they say it, send it, or post it to see if they still feel that way the next day. ​Pausing before communicating is an under-appreciated skill of great communicators. In fact, communication will be more powerful and thoughtful if the circumstances are allowed to marinate for a longer period of time. New ideas live or die in their first communication. Using the other communication skills presented here, you can make a new idea flourish or fail in an instant. Rather than immediately rejecting a new idea, approach, or way of thinking, excellent orators pause and consider the possibilities. Consider what might work in their organization rather than what will fail. They think about the possibility rather than the impossibilities. Great communicators always listen for opportunities and pursue them with gusto. It is not enough to be a good listener and to draw out the other person’s opinions. They will not level with communicators or share their real thoughts if they do not trust them. You gain trust in your everyday interactions with people when you tell the truth—even when it’s difficult. 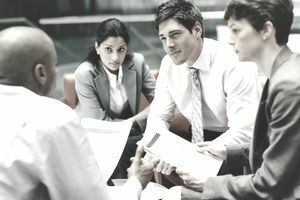 When communicators consistently exhibit integrity and trustworthiness in their daily interpersonal conversations and actions, they build their communicating abilities even further. If you make the effort to use these ten simple communication skills in your interactions with your coworkers, clients, customers, and other organization stakeholders, you will build your professional reputation. People equate effective communication with efficacy and they value people who can engage others and share meaning.